You have a few options if you’re looking for smaller crowds at the Disneyland Resort. January, February, May and September are all ideal choices if you prefer a less-crowded park. 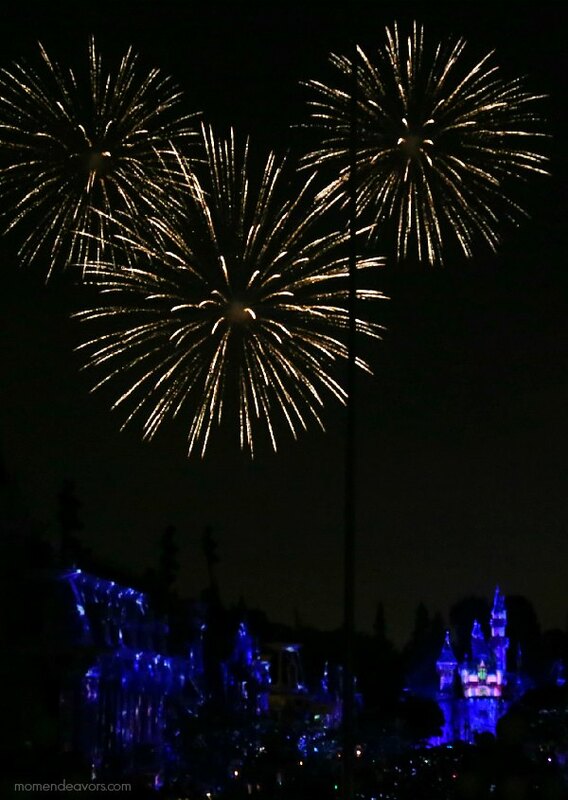 Just make sure to remember to check both the Disneyland and Convention Center calendars for any special events like conferences, marathons, holidays or Grad Nights that could potentially mean larger crowds. January and February are great times to go since the kids are in school and you won’t have to worry about high temperatures. Keep in mind that because these are slower times, the park will occasionally use these months to refurbish rides, but Disneyland does a great job of making sure they typically only have one or two rides down at a time. The next option is May. May is perfect since you miss both the Spring Break crowds and many of the summer crowds. You won’t have to worry about as many ride refurbishments either. Disneyland likes to have all refurbishments done in time for summer, which usually means the middle to end of May. September is another option if you’re looking specifically for fewer crowds. Most kids will be back in school by this time and you won’t run into the crowds from the holidays yet either. However, the middle of September can get busier since the Halloween celebration begins. Every day at Disneyland is magical, but the holidays are even more so. The best part is you don’t have to visit the park on the actual holiday – they extend the celebration to make sure everyone can enjoy it. The celebrations include Halloween and the Holidays at the Disneyland Resort. If you love all things Halloween, you’ll want to visit Disneyland in either September or October. The dates change each year, but Halloween generally starts mid-September and lasts until October 31st. During Halloween at the Disneyland Resort, you’ll be able to experience haunting decorations and ghoulish overlays on some of the classic rides. Mickey’s Halloween Party will also be held on select nights – it’s a ticketed event, but includes trick or treating, wandering villains and even a specialty firework show. After the pumpkins have gone away, the Disneyland Resort transforms into a winter wonderland. The Holidays at the Disneyland Resort generally begin in mid-November and last through the first week of January. Your entire family will be amazed at the decorations, food and holiday ride overlays. This is said to be one of the busiest times, but also one of the most magical times for Disneyland. You won’t want to miss it if you love all things Disney and winter! More about Holiday Time at Disneyland HERE. In addition to the holiday months, if you want to enjoy Disneyland to the fullest, you should consider spring break and summer months. These are peak times for Disneyland and always mean longer park hours and extensive entertainment options. On top of the many shows and parades, you’re likely to experience newly debuted attractions and little-to-no refurbishments. It is VERY common for Disneyland Resort to debut new attractions/shows just in time for the summer. In fact, right around Memorial Day Weekend has often been a time where we see new things debuted frequently. There is no denying that Disneyland will be busier during peak times, but you don’t need to worry. You can still get the most out of your time with a little more planning. Take advantage of the Fast Pass system for popular rides and even shows. The Disneyland app is also recommended because it gives you ride wait times, character locations and show times at your fingertips – and it’s free to download! Don’t forget a Park Hopper ticket, too – it makes it easy to jump over to the other park if you’re feeling a bit crowded. There are always fun things happening at the Disneyland Resort, making it hard to choose one best time to go. No matter when you go, your family is sure to have a magical time making memories that last a lifetime. Those memories are even better when you know you saved on your Disneyland vacation! 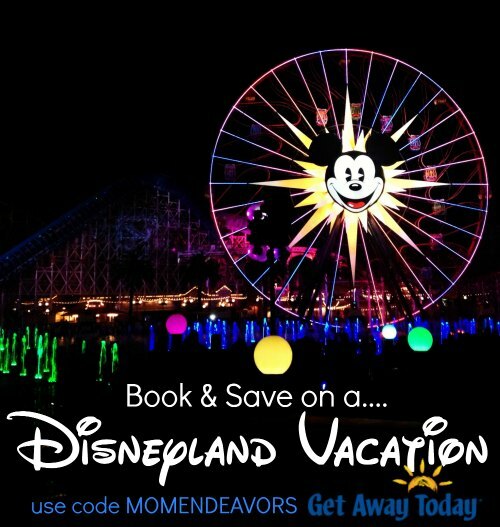 Consider booking through Get Away Today and mention promo code MOMENDEAVORS for an extra $10 off your 2-night or longer Southern California vacation package! That’s who we use to book our trips and so we’re thrilled to partner with them as an affiliate! They love Disney and really make the whole thing so easy, as well as being great about getting you the best deal! You can even start planning for next year’s holiday season with their great layaway plan! Plus, use our exclusive Get Away Today coupon code: MOMENDEAVORS to save even more. You can book online or call their agents at 855-GET-AWAY. 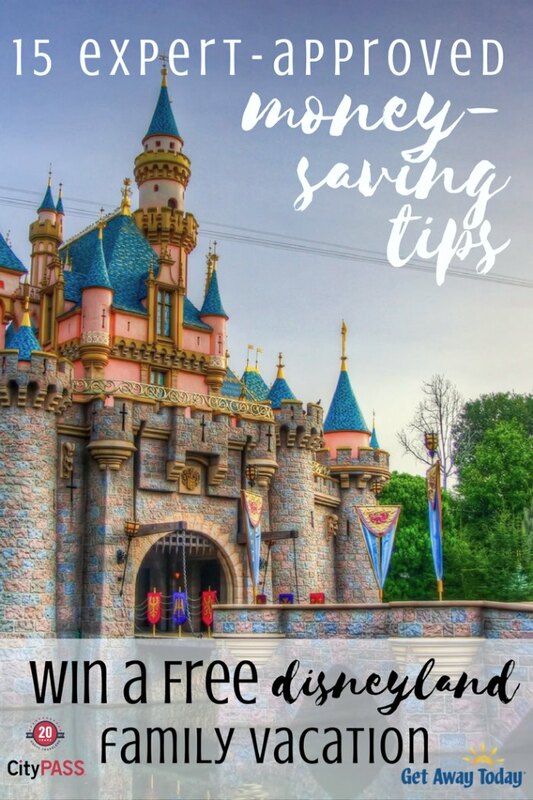 And for even MORE tips, be sure to head over to Trekaroo’s post on 15 Tips to Save Money at Disneyland! Not only will you get some great tips, but until April 20, 2017 you can enter to WIN A DISNEYLAND Vacation!!!! How great is that?!?! 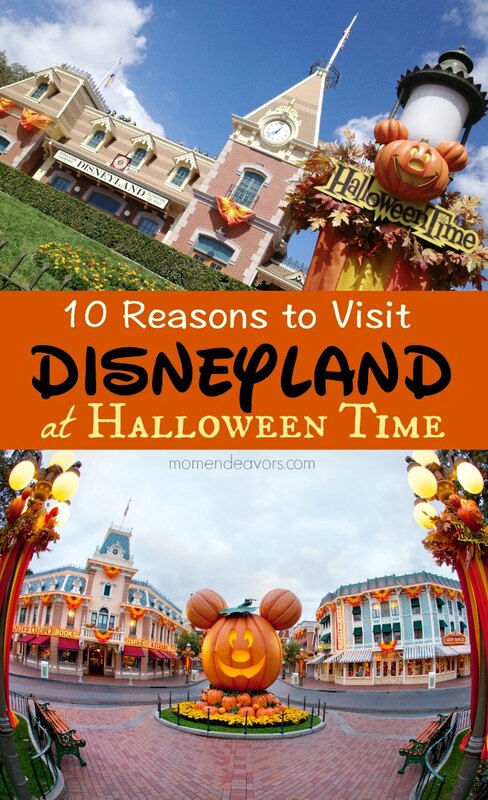 Do you have a favorite time to visit Disneyland? Let us know in the comments below! We went the week after Thanksgiving this year, and it was perfect since most other kids were just back in school after the holiday break. No crowds at all and super short lines! We’re heading down the first part of May. Fingers crossed that it’s slow! We’ve been in January, May, August, and October. All good times! Christmas at the park is on my bucket list for someday. We went last May and it was perfect! This year, we’re going in June because of family and I’m worried how crowded it will be, especially with Grad Nights. 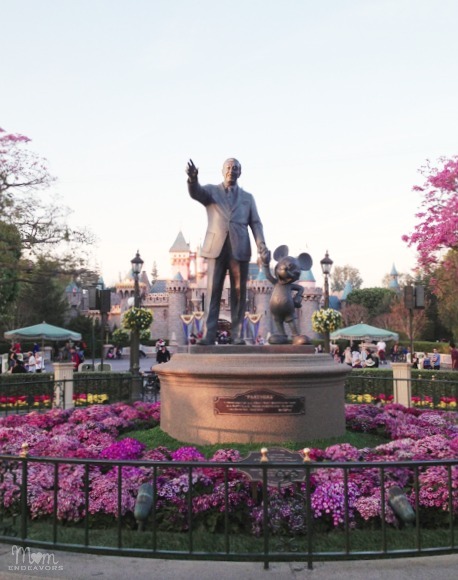 Great tips to know the best time to visit Disney. I also recommend going on a day when it’s supposed to rain (lightly) as that tends to keep crowds away. Just bring rain pants for sitting on wet outdoor rides. I like to go right when the parks open! We live near disney world, so when we go we try to go midweek. Its always less crowded. If we go out to disneyland I really want to go in the winter so it will hopefully be cooler. Great tips! We always go during peak times due to school vacations, but have found a way to make it bearable with shows, tours, fast passes and child swaps. Thanks for all the advice! Mother’s Day weekend is surprising calm! Great weather too. Also…we almost always go the first week of December! Miss the Thanksgiving crowds and beat the Christmas crowds! Plus it’s decorated. Thanks for the advice. We accidentally went on a full park day. Not fun! January and February are a great time to go — just avoid the Holidays – Martin Luther King Day & President’s Day when the locals have the day off from school 🙂 Thanks for all the tips! I will be never go to Disneyland on New Year’s Eve again-miserably crowded! Thanks for writing this blog! I have always wanted to know about the best time to go! I love Disney at Christmas time. Going this weekend, afraid it is going to be very busy especially since our hotel is sold out. We went in the middle of April one year and it was perfect! Hoping to try a different month this time around. I have never visited Disneyland! Thanks for the tips! I have been to Disney World twice. Halloween time and Christmas! It was amazing and I’m sure Disneyland is the same. We are able to travel off-peak so we will consider that. Happy Spring! We love going to Disneyland around the last half of November and February. The overcast weather tends to keep the crowds lower. I love visiting in February, but I always make sure my favorite rides aren’t down for refurbishment. We went the in December this past year and I probably will never do that again. It’s pretty and all for Christmas and it was a lot less crowded than I thought it would be, but it was SO cold it was hard to enjoy ourselves. Great advice! We went on a weekend on March and it was too busy! We went near the end of September last year and it wasn’t too bad, we aren’t sure when we’re going back again but I would love to go at Christmas time to see all the decorations! If my grandkids lived closer to me I’d get some annual passes and I’d go many times! Good tips. We are planning on going the week after Thanksgiving. Have gone on the week between President’s Days .. workable. After Christmas was packed. Could not move as they were sold out! Even the beginning of January is awesome. Thanks for the tips! This is useful.